The recent Super Smash Bros. Ultimate Direct gave us plenty more information about the upcoming game, reveals for brand new characters (including our new favourite, Piranha Plant), and a spectacular intro movie for the game's adventure mode 'World of Light'. As is to be expected at this point, fans have taken the central theme of this video to create their own versions, sharing them online for all to see. If you haven't seen the footage, or just want to relive its glory, make sure to watch it here before we begin our exploration. The mode's antagonist Galeem launches an all-out attack on our beloved fighters, wiping out basically everyone but Kirby with beams of light. This mass destruction appears to set the scene for the game's Spirits, also leaving behind dark versions of the main cast. 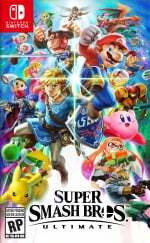 Ever since, fans have been shoving these 'death beams' onto any other pieces of footage they can find, completely obliterating characters from other game franchises, plastering it into cartoons, and even wiping out Nintendo's very own Reggie Fils-Aimé. 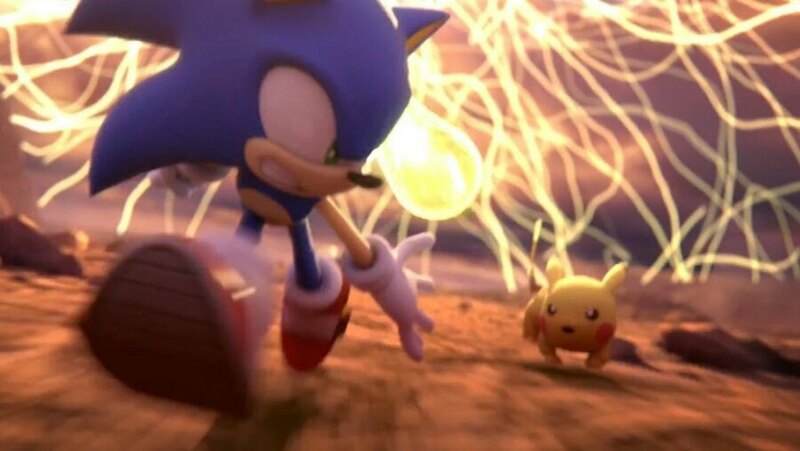 Even the official Sonic the Hedgehog Twitter account got in on the action, asking Pikachu if it was OK after the two were seen running away together in the movie. And just like that, we appear to have our next Nintendo-based meme well and truly underway. Did you watch the Direct? Are you enjoying these takes on the adventure mode's movie? Let us know your favourites in the comments below. The Simpsons and King of the Hill ones gave me a good laugh. Memes why did it have to be memes? Kidding aside, some of these were pretty damn funny. That one by Spencer Wyatt was my favorite. I'm still waiting for blinking Sakurai to become a meme. @Not_Soos has anyone combined the "will i ever get to have a rest?" and death beam memes? I feel like this should be done. @dorkeybubblehead Not that I know of, but that would be utterly fantastic. "Ya done good, Hasslehoff. Ya done--"
I was so entertained by that death video. Have we all gotten over Luigi's Death death yet? What? No meme of Thanos snapping his fingers? @OfNullAndVoid The closest I’ve seen is a mash-up of the first Infinity War trailer’s dialogue and music playing over footage of this trailer. I’m a tad surprised that’s all I’ve seen, honestly. I’d thought there’d be more. Is Chuck Norris still relevant to chuck into these things? "When I snap my fingers all fighters except Kirby will cease to exist." I gotta admit, the memes of Smash Bros are tickling my fancy. I have had a chuckle about more than a few. This meme makes the wait a little more bearable. I adore it. I wish there was a template so I could do one with Bren McGuire from Turrican. Where the beams hit him in all directions possible, but he doesn't even flinch. He then says "F*ck you, Galeem" in a TTS voice and suddenly does the Kamikaze Attack from Turrican 2. I definitely chuckled at some of these! I want to see a Mr. Game and Watch, R.O.B. and Duck Hunt Dog scene. They are the real heroes of Smash anyways. As a Waluigi fan, I am actually torn they didn't capitalize on the current state of his memery. Didn't know this was a thing till now. @Spectra Can you give me the link? Between this and Thanos it is not a good time to be a Hero right now. Porky Pig was behind it all. Lol, the one with the anime girl is the best!